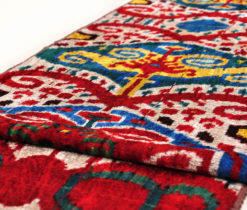 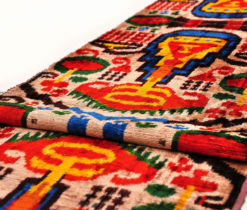 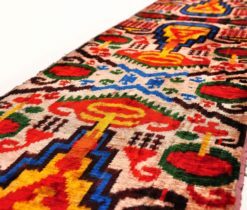 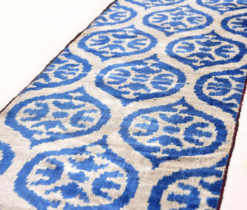 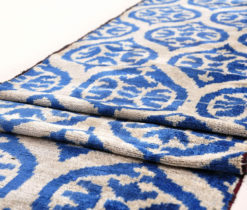 Eastern decorative fabrics fill your interior with unequalled color. 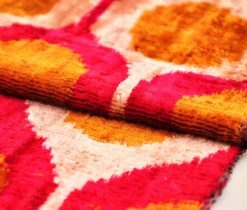 Upholstery of furniture, curtains, sofa pillows and counterpanes creates cosy atmosphere, silky lines and mild palette of dyes makes that place comfortable and luxurious. 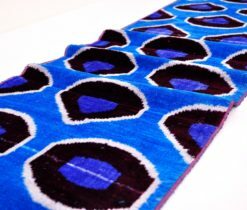 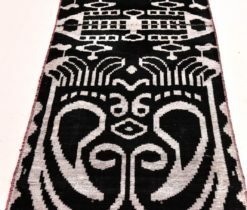 Our Ikat fabric has various types of fabrics included, for example, velvet ikat fabrics, cotton ikat fabrics, silk ikat and others. 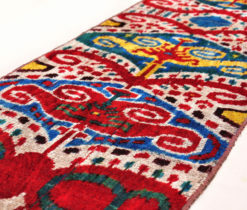 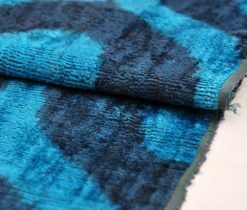 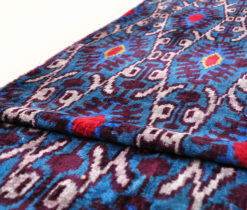 Ikat can be compared to jazz improvisation, when new themes are woven into the background of famous melodies, and changing the main outline of the work, filling it with other colors. 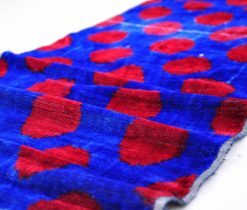 This part we will dedicated to velvet ikat fabrics – fabric which has a rare beauty and in art terms, it is the most attractive fabric. 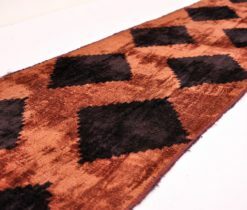 Velvet fabric – is a fabric with a smooth fleecy base and fuzzy face, the poets compared it to the southern night that softly shrouds the shoulders. 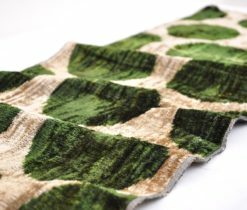 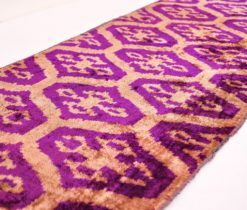 In the past, velvet fabric was used only in the classical interior, but today it is in demand again. 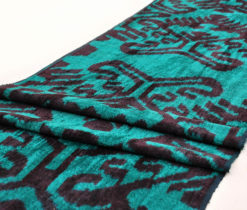 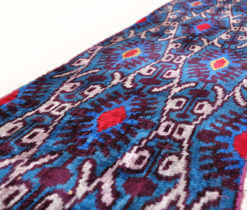 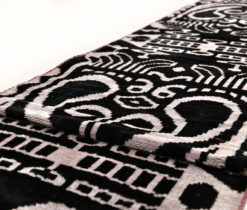 Here you can find Traditional Velvet Ikat Fabrics made in classical style. 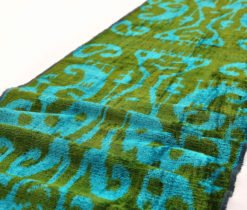 According to the direction of the color, fabric shimmers in different shades, such as red, blue, brown, green and so on. 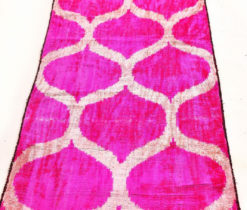 Velvet is perfectly combined with guipure, organza, chiffon and leather. 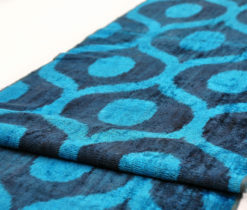 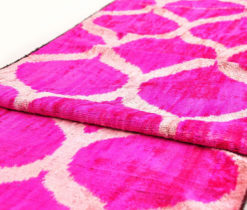 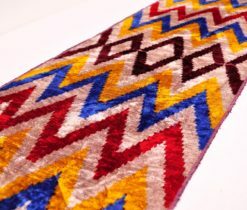 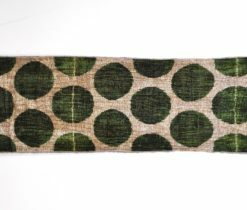 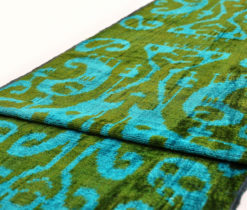 Review the assortment of velvet ikat fabrics that we present you in this web-site. 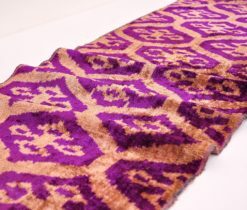 The principle of making velvet fabric has been largely preserved - on a dense basis fixed fluffy brushes, which on the front side form velvety rows. 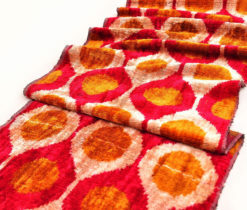 Nowadays velvet is also applied for upholstery of furniture of completely different shapes. 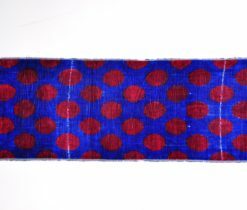 The specific features of tissue include: hypoallergenicity, an original relief surface, as well as the presence of natural threads in the tissue. 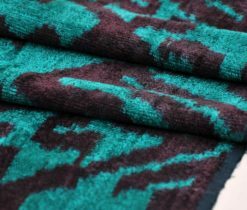 Advantages of Traditional Velvet Ikat Fabrics are a harmonious combination with a variety of collections of fabrics from different suppliers; suitable for all forms of furniture; practical in use and easy to clean material. 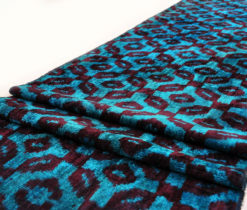 Velvet upholstery fabric looks great in the classic interior, especially the beige–brown range of noble shades: sapphire-blue, ruby-red, emerald-green and turquoise.